Casa Colorado: 2 BED / 1 BATH. Pool! Close to Surf, Yoga, and Town! Property 2: Casa Colorado: 2 BED / 1 BATH. Pool! Close to Surf, Yoga, and Town! SEA SHACK....the place to. chill. Everything you need & nothing you don't!! Property 9: SEA SHACK....the place to. chill. Everything you need & nothing you don't!! Property 10: Sacred Spaces #2: Steps to Beach! Beautiful Balinese Style Home - Sleeps 4 comfortably, Pool! perfect for your adventures in Playa Negra! 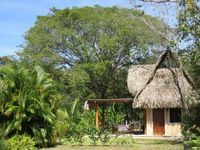 Property 16: perfect for your adventures in Playa Negra! La Casa Bonita pequena and pool,one bedroom cottage fully equipped,best value. Property 18: La Casa Bonita pequena and pool,one bedroom cottage fully equipped,best value. Jungle Oasis only 1.5 kilometers from the beach. Property 20: Jungle Oasis only 1.5 kilometers from the beach. 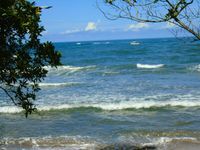 Essential Costa Rica, hideaway for Real Nature Lovers! Property 24: Essential Costa Rica, hideaway for Real Nature Lovers! perfect for small families, surfers, yogis and couples! Property 27: perfect for small families, surfers, yogis and couples! The place was comfortable and had everything we needed. The Hosts were very helpful and gracious. My daughter and I enjoyed every minute of our stay at Sonny &amp; Rita's yellow beach cabin. We lived simply, naturally, and in sync with the ocean. Sonny is the most helpful, cheerful, &amp; sincere host any traveler could hope to meet on the road. We left after our two week stay fully rejuvenated, deeply inspired, and brimming with gratitude for the experience. I recommend this sweet spot on the planet 100%! If authenticity, beautiful landscapes, and real culture are your fancy, then you absolutely cannot miss this place, it is a jewel in the wild, I will definitely return!